Have you ever thought about how the choice of words when greeting sets the mood for the whole conversation? Hello. Howdy. What’s up. Yo. Aloha. Salute. 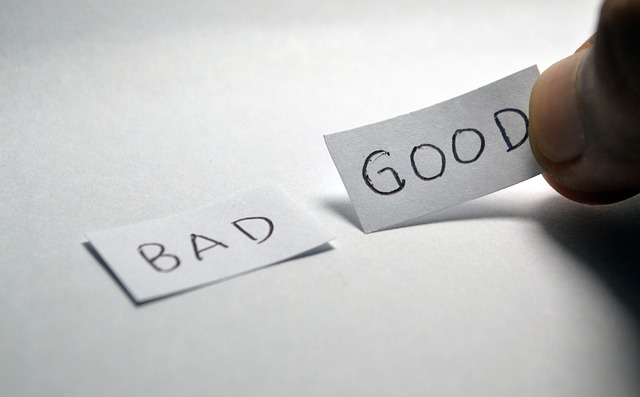 Do you feel the difference between how these words affect the situations they’re used in? The same concept is true for the Russian language. There are a lot of different greeting words in there and you should try to understand and imagine every situation in which they could be used. That said, here are some Russian greetings for beginners. There are two basic ways to say “Hello” in Russian. 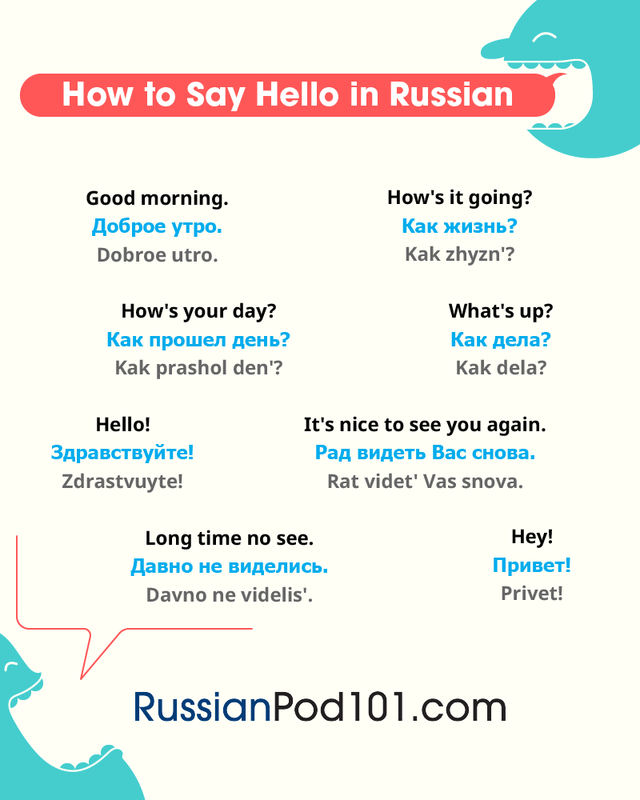 Здравствуйте (zdravstvuyte) — This is a formal Russian greeting for “Hello.” If you ask a local: “How do you say ‘Hello’ in Russian?” he’ll teach you this word. Use it when you meet elder people, people you have a great respect for, and people you have the intention to become buddies with. Another version of this Russian greeting is Здравствуй (zdravstvuy)—“Hello.” Don’t confuse it with the previous one. This is a much less formal greeting and is usually addressed to younger people or people of the same age, who are not close friends. For example, a teacher could use it to greet a new student in the class. Привет (privet)—“Hi” in Russian. If you ask a local: “How do you say ‘Hi’ in Russian?” he’ll most definitely tell you this greeting. 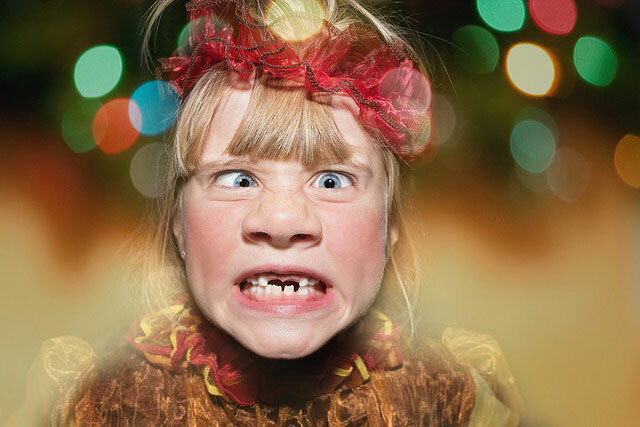 This is the most common Russian informal greeting. It’s great to use in every informal situation. Доброе утро (dobroe utro)—this is essentially how to say “Good morning” in Russian. If you ask a local: “How do you say ‘Good morning’ in Russian?” without a doubt, he’ll tell you this translation. It could be used both in formal and informal situations—just as it can be in English. Доброе (dobroe) means “Kind,” so this is sort of like wishing a person to have “a kind morning.” But the meaning is still similar to the English greeting. Добрый день (dobryy den`)—“Good day” or “Good afternoon” in Russian translation. This greeting is used mostly in formal situations. Добрый вечер (dobryy vecher)—“Good evening” in Russian. This greeting is also used mostly in formal situations. Приветствую (privetstvuyu)—“Hello” in Russian. This is between formal and informal when it comes to Russian greetings. Men could address friends with this greeting in order to appear more “manly.” Feel free to use this during friendly gatherings when you take a word and address everyone. For example, “Hello comrade” in Russian is Приветствую вас, товарищи! (Privetstvuyu vas, tovarishchi!). Добро пожаловать! (Dobro pozhalovat`! )—“Welcome” in Russian. This is rarely used in everyday life. But it’s often used on TV shows or official events to greet guests. So, if you’re wondering “How do you say ‘Welcome to Russia’ in Russian?” then the answer is Добро пожаловать в Россию! (Dobro pozhalovat` v Rossiyu!). Алё (alyo)—“Hello.” This is another way to say Алло (allo) when you answer the phone in Russian, if you’re going for a less formal approach. A lot of people use both of them. Але (ale)—“Hello.” This is also an option to answer a phone call. It’s used mostly by young people who want to look original. 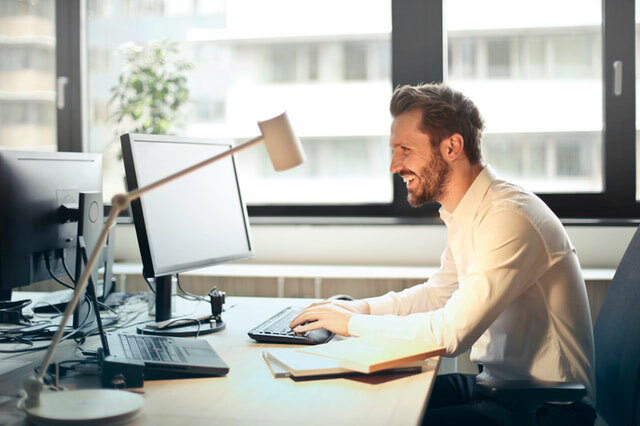 Доброго времени суток (dobrogo vremeni sutok)—“Good time of the day.” This phrase is popular in correspondence situations where the sender doesn’t know when the receiver opens the email and reads it. But be careful, as some people hate this greeting because it feels too original and appears to be just temporal fashion. Приветик (privetik); приветики (privetiki)—“Hello” in Russian informal language. These greetings are formed from the basic Привет (privet)—“Hi” and are used by girls when trying to be cute. Guys rarely use them, but when they do they mean to flirt. Здорово (zdorovo); здарова (zdarova); здаров (zdarov); здоров (zdorov); даров (darov)—“Hi.” This popular and cool way to greet in Russian is usually used by millennials. You need to already be good friends with the person to say it. Дратути (dratuti)—“Hi.” This is an original greeting that comes from Internet memes and chats. This is usually used by computer geeks. 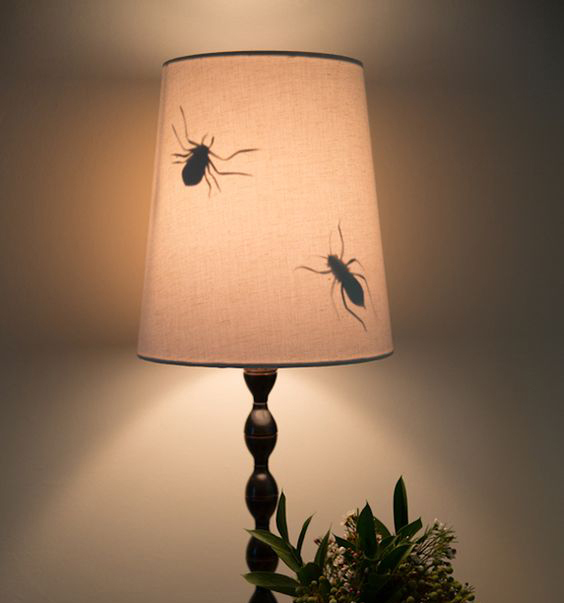 О, какие люди! (O, kakie lyudi! )—“Oh, that’s you!” This phrase is how Russians greet when they unexpectedly meet one or several friends/family members. Сколько лет, сколько зим! (Skol`ko let, skol`ko zim)—“Long time, no see.” Literally, it means “How many winters, how many summers (we haven’t seen each other)” and is used when you haven’t seen a person for a really long time. Здравия желаю! (Zdraviya zhelayu! )—“Hello” in Russian formal military style. С приездом! (S priezdom! )—“Welcome!” It’s used when the person just arrived somewhere. С прилётом! (S prilyotom! )—“Welcome!” This one is used when the person just arrived somewhere by plane. Аллоха (Allokha)—“Aloha.” This is the original way to greet used by modern millennials and young bloggers. Хей (Khey)—“Hey” in Russian. So, if you’re wondering how to say “Hey” in Russian, the answer is easy—Хей (Khey). Хаюшки (Khayushki)—cute form of “Hi” in Russian. 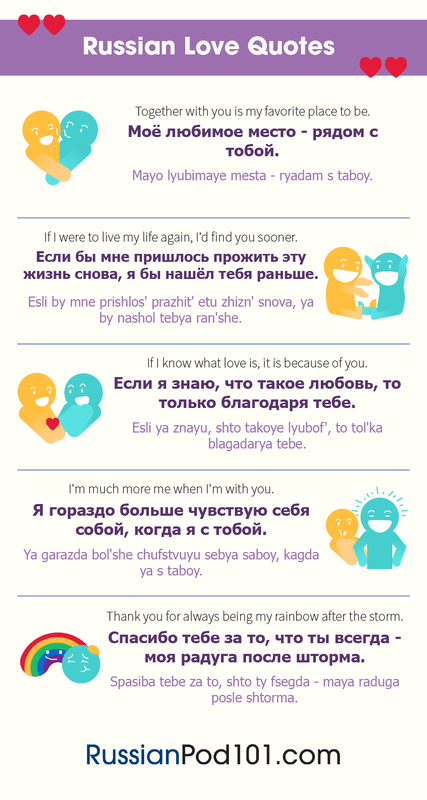 Йоу (You) —“Yo” in Russian. Моё почтение (Moyo pochtenie); наше почтение (nashe pochtenie)—“Hello.” This is an old way to say “hello” among high society members. It can be used today to bring in the atmosphere from that time. Здрасти-мордасти (Zdrasti-mordasti)—“Hi.” It’s usually used by very old people, and is considered an outdated Russian greeting. Мир вам (Mir vam)—“Let the peace be with you.” This greeting is basically used by churchmen and religious people, and also comes from the old times. Наше вам почтение (Nashe vam pochtenie)—“We express our respect to you.” This is yet another Russian greeting that comes from old times. Nowadays, it may be used by old people. Ку! (Ku! )—“Hi” from the film “Кин-дза-дза!” (kin-dza-dza). This is usually used by people who have watched this film. Физкульт-привет! (Fizkul`t-privet! )—“Hi” from the film “Джентльмены удачи” (Dzhentl`meny udachi). This is how Russians greet people who are training. As the film is a Soviet one, this greeting is used mostly by older people. Wanna know how to say “How are you?” in Russian? All these questions may follow the informal greeting, and most of them—except one—have this meaning. Как дела? (Kak dela? )—“How are you doing?” in Russian. This is the most common question to start a conversation. This is used by everyone. Как ты? (Kak ty? )—“How are you?” This one is another, more personal way to ask Как дела? (Kak dela?). Как оно? (Kak ono? )—“How is it? How are you doing?” This Russian greeting is very popular nowadays, especially among millennials. Как жизнь? (Kak zhizn`? )—“How is your life?” Essentially, this means the same as Как дела? (Kak dela?) but is used less often by older people. Как жизнь молодая? (Kak zhizn` molodaya? )—“How is your young life going?” This is used by older people to the younger generation when they haven’t seen each other for a long time. 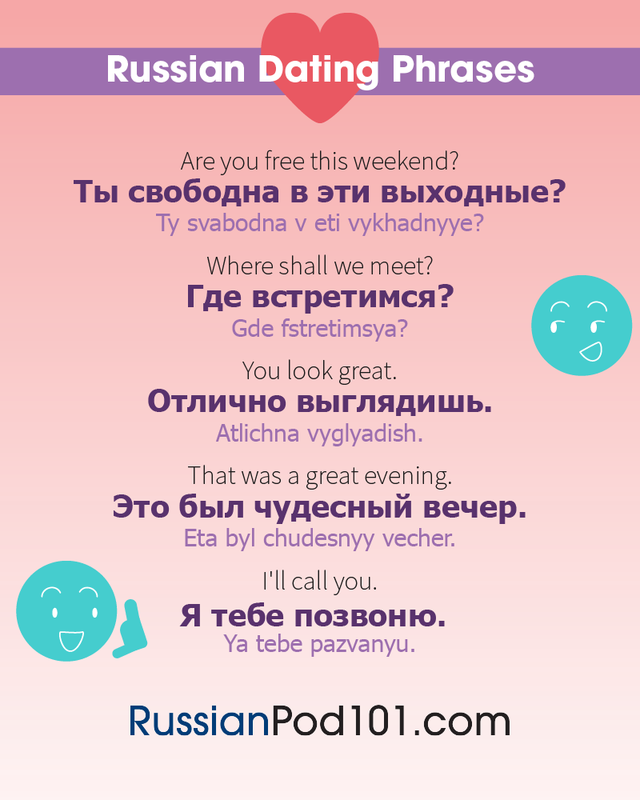 Рад тебя видеть (Rad tebya videt`)—“Glad to see you.” This is one of the more popular Russian greetings between friends, and is typically used to address good friends. Как поживаешь? (Kak pozhivayesh’? )—“How are you doing?” This is usually used by older people and mostly in letters and emails. Что нового? (Shto novogo? )—“What’s new?” This means the same as Как дела? (Kak dela?) but is less general. Ask it if you want to know what new things happened with the person during the time you were apart. Что новенького? (Shto noven`kogo? )—“What’s new?” This is a cuter way of saying Что нового? (Chto novogo?). Какие новости? (Kakie novosti? )—“What is the news?” This means the same as Как дела? (Kak dela?) but is used to greet more distant friends. Чем занимаешься? (Chem zanimaesh’sya? )—“What are you doing?” in Russian. For the same meaning, you can also use Что делаешь? (Chto delayesh’?). So, if you wanna say: “Hello. How are you?” in Russian, you can say: Привет. Как ты? (Privet. Kak ty?). Read a dialogue between two people and choose a greeting that fits. So, now you can say “Hi. How are you?” in Russian in many different ways and are able to choose a proper greeting according to the situation. Don’t hesitate to use some of the uncommon greetings that we described above while you’re learning. But in any important situation, just stick to the most regular ones—Привет (Privet) and Здравствуйте (Zdravstvuyte). Official “Hello” in Russian English spelling could be tricky, as the Russian letter в (v) is quiet, so check Здравствуйте (Zdravstvuyte) several times before sending it to your Russian partner or colleague. Keep reading RussianPod101 and learn interesting Russian words and expressions that you can start using right away. For example, learn how to say “Good night” in Russian or how to say “Goodbye” in Russian translation in our next articles! 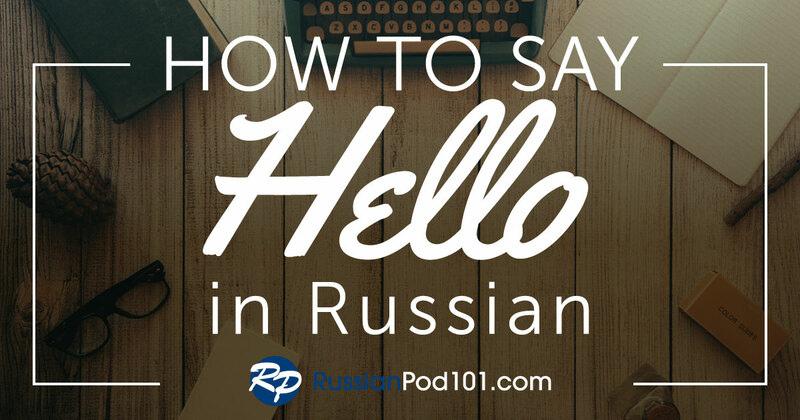 For now, keep practicing these Russian greetings and introductions so that you can be a pro in no time! 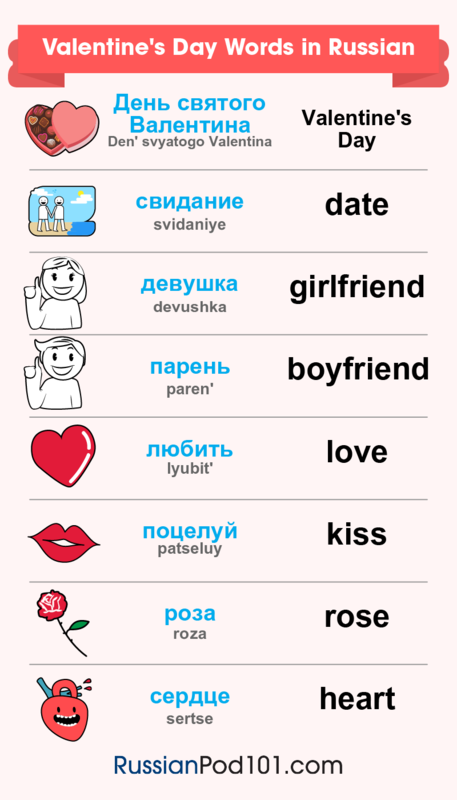 We hope this Russian greeting guide has helped you to learn all about Russian greetings. Best of luck with your continued learning! How to Learn Russian in Your Car? Stuck in traffic? Losing time in your car? Have you ever felt that in all this wasted time, you could have watched the 750 episodes of One Piece, finished the last Super Mario ten times, or even better…you could have learned Russian? Between family, friends and work, in addition to this time-consuming commute, it can become difficult to find time to properly learn Russian. Fortunately, every problem has a solution, and what could be a better solution than turning that commute time into learning time? 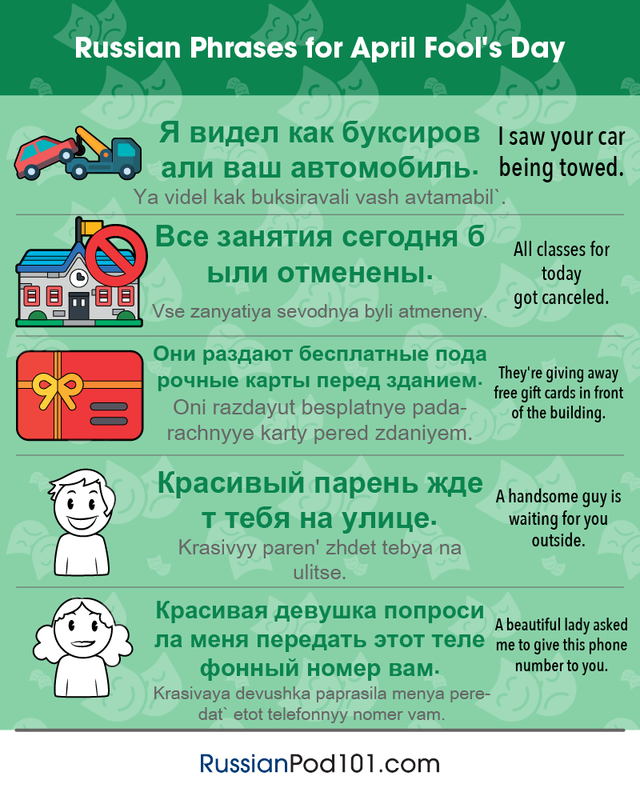 Stop passing the time mindlessly listening to the radio and try some of our best tips for mastering Russian in your car! While driving, it’s important that you keep your focus on the road, so this is why our top tips won’t require you to use your hands! This is because it is a fun and efficient way to learn. 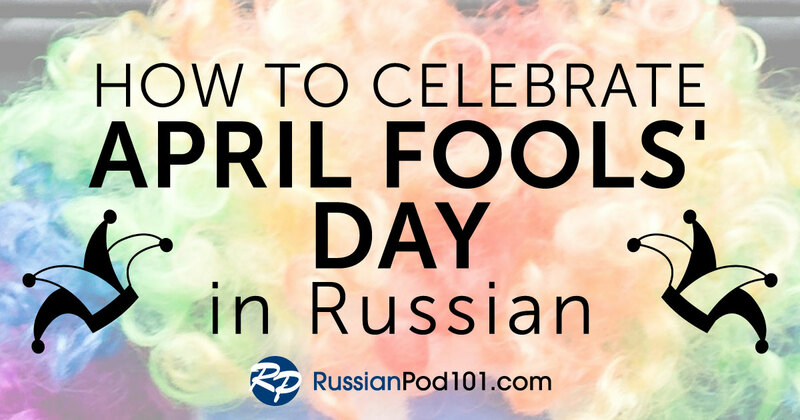 With RussianPod101.com podcasts, you will be able to discover Russian culture through topics about everyday life. Instead of the radio, listen to a Russian podcast adapted to your level, from Absolute Beginner to Advanced, and you will make progress sooner that you would expect! Did you know that you can learn Russian by singing while driving? Listen to songs from cartoon or drama and try to identify some words you learned. Challenge yourself! Use the Russian you’ve studied up to this point and see how much you understand! Making the jump to real-life Russian is a scary one, but friendly children’s songs are a great place to start! Click Here To Sign Up For A FREE Lifetime Account! When you’re driving alone, you can be as loud as you want – there is nothing better for remembering your Russian lessons than repeating loudly, again and again. Next time you see a driver who seems to be talking alone, you will know he or she is just learning Russian! If there are passengers in the car, it can be more stimulating to learn together. You can set a role play with Russian dialogues. With RussianPod101.com, you can download all the lessons transcript including the dialogues, as a PDF. Print it out and have some fun speaking in Russian! One of the passengers can answer the quiz available on each of our lessons, while another can correct that person. Listening to someone at a more advanced level of Russian or a better accent is positive and helps you improve. Do you have a poor connection or are unable to use the Internet? It’s not a problem for learning Russian! Before you start your commute, use our App to download the lessons you want to study and the podcast you want to listen to in your car, and you will be able to enjoy your lessons offline. Entering a tunnel won’t be a problem anymore. What a pleasure to listen to audio content without having the host freezing every 5 seconds! Click here to download the App and learn offline! One of the best approaches for learning a language is little by little and often. It’s not efficient to take in a huge amount of information at one time. What you need is to study on a regular basis – a little bit of Russian every day. You commute several days a week, and that is all time you can take advantage of! You have the freedom to choose the lessons and podcasts you want to focus on, at your own rhythm. You may want to do a little revision or discover how to talk about a new topic. And if you’re wondering what to learn next, you can use the new Learning Paths, which is our customized pathway feature that gives you a step-by-step way to learn Russian without getting lost! 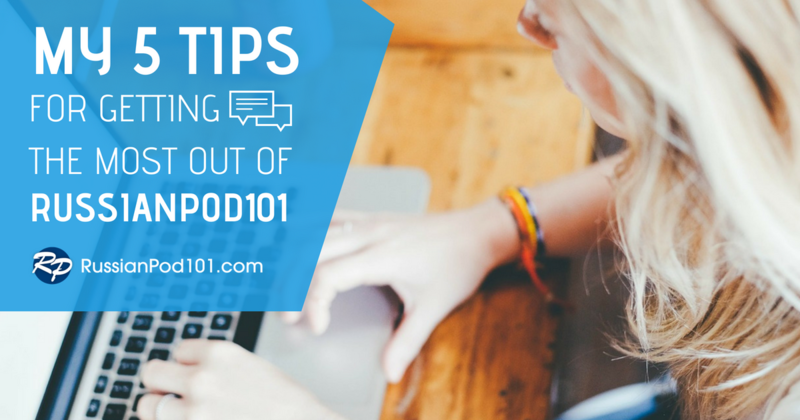 Click here to access Learning Paths at RussianPod101! If you don’t have a car and commute by another method, these tips are still valid! 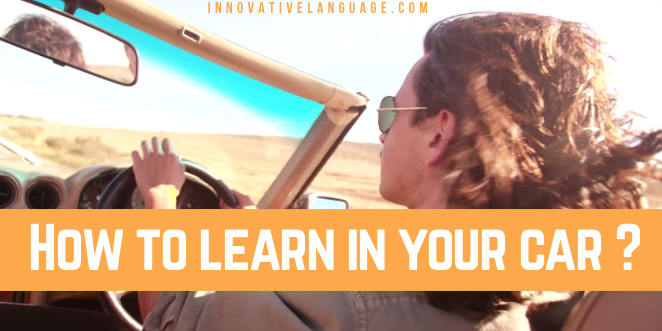 Learning Russian is no longer limited to the classroom or your house; there are so many benefits to learning in your car or elsewhere. Reaching a conversational level will take you less time than you could ever have imagined! Don’t forget to sign up for your Free Lifetime Account and enjoy our content! There are no cases in English. That means that nouns and adjectives always stay the same no matter what their function and position in the sentence is. It’s different in Russian. The endings of nouns and adjectives change depending on their function. It can be totally confusing! Tip 2: Watch Your Word Stress! Like in English, word stress is extremely important. In Russian, you don’t say all the syllables of the word with the same strength, but accentuate one syllable. If you don’t stress the right syllable, it can lead to confusion, and native speakers will have difficulty understanding you. Unfortunately, unlike in Italian or French, there are no rules to help you stress a word correctly. It’s just something you have to learn for each word. In Russian, you use a different verb ending for “I” and “you” in the present. It is very common for English speakers to forget about it, as in English the verb doesn’t change. Also, they hear the ending -ешь in the question and tend to reply using ешь. In Russian, the ending of the verb in the past tense changes depending on the gender and the plurality. If the subject is я or ты, use the ending -л if the pronoun refers to a man, and -ла if it refers to a woman. In Russian, the pronoun “it” doesn’t exist. We replace “it” with “he” or “she,” depending on their gender. That means, for example, that when you speak, you have to remember that книга (”a book”) is feminine, and that you should refer to it as она (”she”). This blogpost is a brief overview of different tenses and articles found in Russian language. In English, you use a different tense in the present depending on whether it’s an action that happens regularly or it’s happening now. In Russian, you use just one tense in the present, no matter whether the action happens regularly or is happening now. The past form of regular verbs in English end in -ed. You have to learn irregular verbs individually. In English, there are many irregular verbs. Guess what? In Russian, there are hardly any irregular verbs in the past tense! An article is a word that combines with a noun to indicate the type of reference being made by the noun. The articles in the English language are “the,” “a,” and “an.” In short, it is what you’re referring to (e.g., “the cat”). In Russian, there are no articles! In English, you have three forms of this verb,”am,” “is,” and “are.” In Russian, you should not use the verb “to be” in the present tense, so you don’t have to worry about it at all. In English, you need a different auxiliary depending on the tense, and you change the word order. In Russian, you just change your intonation. Nothing else changes. You can tell the gender just by looking at the ending of the word. Masculine nouns usually end in a consonant. Feminine nouns usually end in -а or -я. Neuter nouns usually end in -о or -е. This Lesson Focuses on the history of the Russian languages and the top 5 reasons to study! world as well as a quarter of the earth’s fresh water within its lakes. The Russianlanguage has recieved numerous influences throughout history, including influences from Polish, German, and even Slavic. of history, and the better you know it, the more familiarities you’ll pick up from other languages too. Other than the amazing history of the Russian language and its huge geographical size we have composed a list of the top 5 reasons you should study Russian! 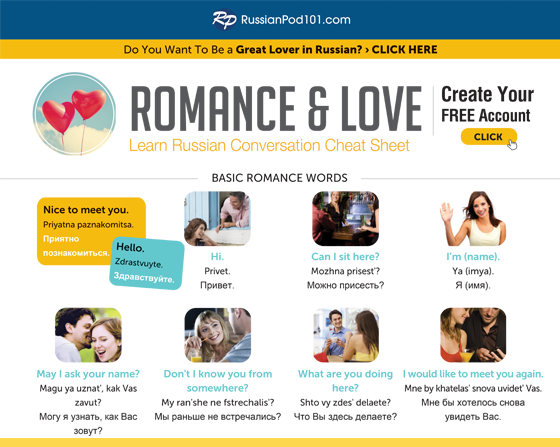 Romance: Lots of people learn Russian because they either have or want a Russian partner. Business: Since the former Soviet Union opened its borders to foreigners, many businessmen travel to Russia and particularly the Ukraine. Travel and tourism: Russia has always attracted tourists by its historical past and culture. Russian theatre, and in particular, ballet, are famous all over the world. “Exotic”: Even though it’s considered challenging because it has a different alphabet, the Russian writing system makes it perhaps easier to learn than some other languages such as Arabic and Japanese. Extremely popular: According to estimations, between 144 and 160 million people speak Russian as their first language. It’s the eighth most spoken language in the world, before Japanese, German, French, and Italian. Still, people speak Russian natively in all former Soviet republics, some of which are part of the EU now such as Latvia. In Eastern Ukraine, for example, people speak Russian rather than Ukrainian. Happy Holidays and Happy New Year From RussianPod101.com! Happy Holidays and Happy New Year from everyone here at RussianPod101.com! 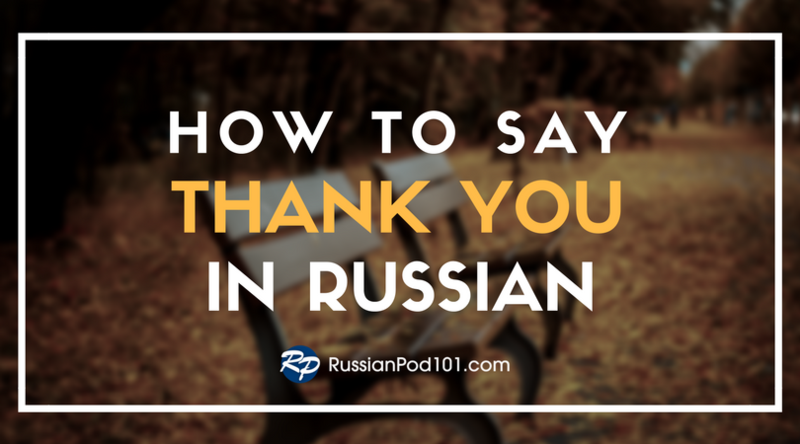 We’re grateful to have listeners just like you, and we’re eagerly waiting for the upcoming year to learn Russian together! 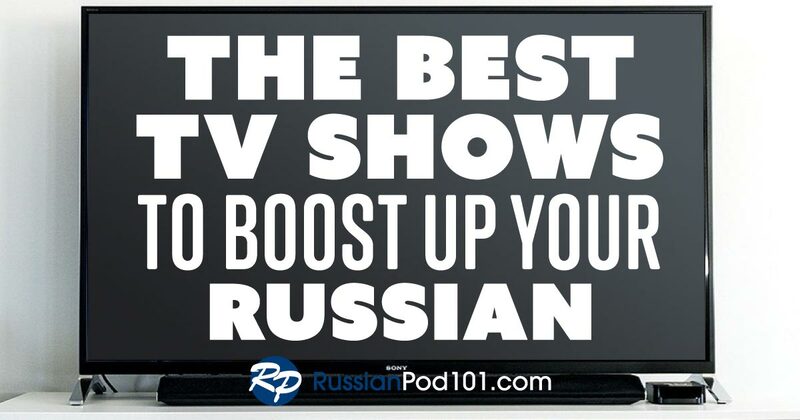 And when the New Year comes around, be sure to make a resolution to study Russian with RussianPod101.com!